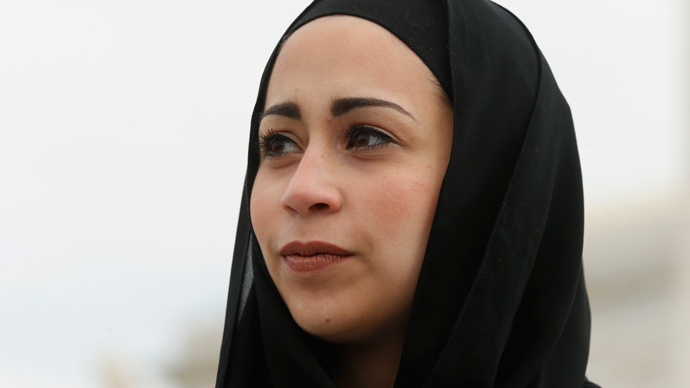 The Supreme Court of the United States has ruled in favor of a Muslim woman who said she was discriminated against when clothing retailer Abercrombie & Fitch refused to hire her after appearing for an interview in a religious head scarf. In an 8-1 ruling handed down Monday, the high court said Abercrombie was at fault in failing to hire Samantha Elauf as a result of her appearance after a job interview. The topic of religion was never touched upon during the interview at an Abercrombie Kids store in Tulsa, Oklahoma, but assistant manager Heather Cooke acknowledged to her boss after the interview that she had determined Elauf’s head scarf violated the store’s “looks policy” prohibiting head gear. Attorneys for the clothing store said that Elauf wasn’t rejected on account of her religious garb, but because her look clashed with the “classic East Coast collegiate style” that it looks for in its employees. During the trial, SCOTUS examined whether Elauf was required to have told her potential employer about the specific religious accommodations she’d require in order to sue Abercrombie for violating the anti-discrimination Civil Rights Act of 1964. Applicants should not be allowed “to remain silent and to assume that the employer recognizes the religious motivations behind their fashion decisions,” Abercrombie argued in a legal brief filed with the high court, the New York Times reported this week. In announcing the decision early Monday, however, the court said it shouldn’t matter that Elauf’s religious requirements were not specifically mentioned during the interview. “An applicant need show only that his need for an accommodation was a motivating factor in the employer’s decision, not that the employer had knowledge of his need,” Justice Antonin Scalia wrote for the majority. “A request for accommodation ... may make it easier to infer motive, but it is not a necessary condition of liability,” Scalia wrote. Abercrombie had “at least suspected” that Elauf wore a headscarf for religious purposes, Scalia wrote. Federal law requires employers to “reasonably accommodate” a worker’s religious beliefs as long as they don’t negatively affect business. The federal Equal Employment Opportunity Commission filed suit on Elauf’s behalf after she was initially rejected from the job, and a jury eventually awarded her $20,000. That verdict was called into question by a federal appeals court, however, which said the clothing store shouldn’t be held responsible because Elauf never specifically disclosed her religious needs. The appeals court decision propelled the issue to SCOTUS, where Monday’s ruling may end up being the final word on the matter.